The USDA's Center for Nutrition Policy and Promotion (CNPP) provides the Nutrition Evidence Library, a clear and transparent source of systematic evidence reviews about all sorts of nutrition and health issues. Strong evidence demonstrates that intake of milk and milk products provide no unique role in weight control. That seems clear enough: no unique role in weight control. A growing body of research illustrates that enjoying three servings of milk, cheese or yogurt each day as part of a nutrient-rich, balanced diet may help maintain a healthy weight. The first study mentioned is by Michael Zemel, the researcher who won a patent on dairy weight loss claims, which allows dairy industry organizations to collect royalties from food companies that use such claims. Buried deep in the subsequent studies, one finds contradictory evidence. For example, a study by Wagner and colleagues in the Journal of the American College of Nutrition finds, "there were no significant differences in weight loss between groups. The milk group showed significantly less reduction of body fat than the placebo group." But you would not know that from the Dairy Council's summary statement. The National Dairy Council -- whose messages have official status as "government speech" -- seems to be contradicting the more impartial review of USDA's scientists. Why should the federal government be willing to play the role of "enforcer" for the National Dairy Council, collecting the millions of dollars in mandatory assessments that support the Council's industry-friendly spin on the evidence? The federal government's dairy checkoff program just today released the July 2010 Report to Congress, which was the subject of my earlier Freedom of Information Act (FOIA) request. The report, 16 months overdue, says that $108 million were collected in 2009 for fluid milk promotions, and another $283 million were collected for other dairy products (principally cheese). The checkoff programs use the federal government's power of taxation to collect mandatory assessments, essentially taxes, from producers. All the advertising and promotion messages count as "government speech." The expenditures vastly outweigh anything the federal government does to promote healthy eating. The Dairy Board continued to develop and implement programs to expand the human consumption of dairy products by focusing on partnerships and innovation, product positioning with consumers, and new places for dairy product consumption. One such endeavor was accomplished through a partnership with Domino’s Pizza and the creation of the American Legends pizza line. The pizza industry plays an important role in the dairy industry. Twenty–five percent of all cheese manufactured in the U.S. is used on pizza, and Mozzarella comprises 49 percent of all cheese volume in the foodservice industry. Research showed that negative pizza cheese volume trends were having an impact on the dairy industry. As a result, dairy producers partnered with Domino’s to reinvigorate the pizza category and launch American Legends, a line of six specialty pizzas that use up to 40 percent more cheese than a regular Domino’s pizza. The report shows that a large fraction of affiliated advertising expenditure goes toward cheese. [W]e continue to believe that the nutritional state of consumers in the United States would be worse without generic food advertising programs. I am not convinced. The checkoff programs should rein in the fast food collaborations and bring the promotions in line with the dietary guidelines, or they should let free markets work on their own and let producers contribute voluntarily to the checkoff programs. The status quo, with the federal government promoting Domino's Pizza, is terrible. The July 2011 report has not yet been released. It is not clear whether USDA simply didn't submit the report to Congress as required, or instead whether USDA submitted that report but is not yet willing to share it with the public. Although appropriations bills are supposed to be about spending -- not policy-making -- Congress took extra special care this week to make sure child nutrition programs do not have to follow the very reasonable and temperate guidelines recommended by the Institute of Medicine. The conference committee report for next year's agricultural appropriations overturns key elements of USDA's proposed guidelines for child nutrition programs. The proposed guidelines had included strong support for whole grains, a recommended limit on salt, and a stipulation that not too much of the vegetables served would be white potatoes. Currently, school lunch programs contain far more salt than recommended limits, and many school systems use french fries and other forms of white potatoes as by far the dominant vegetable. In a step that reminds us all of the Reagan administration's heroically foolish effort to define ketchup as a vegetable, the appropriations committees also intervened to make sure that the tomato puree in pizza counts toward vegetable requirements. 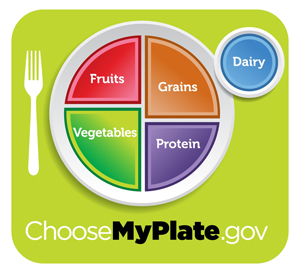 USDA spokeswoman Courtney Rowe said Tuesday that the department will continue its efforts to make lunches healthier. "While it's unfortunate that some members of Congress continue to put special interests ahead of the health of America's children, USDA remains committed to practical, science-based standards for school meals," she said in a statement. A graduate student and I are taking a look at the diversity of comments that were submitted in response to USDA's proposed guidelines. I will do a follow-up post in a couple weeks, noting which organizations suggested the policy reversals that Congress made this week. In my children's schools, I see the need for well-written and reasonable guidelines. The status quo is not good enough. I believe the IOM and USDA did the best possible job in balancing nutrition and economic considerations. Readers know very well that I will speak up against government overreach. But these guidelines did not look to me like government overreach. They looked judicious. As a policy researcher, I think the public interest would have been better served by deferring to IOM and USDA. As a parent, I am angry about Congress' intervention. It seems clear that Congress is doing the food industry's bidding at the expense of our children. Modeled on an earlier proposal from the Seattle City Council, the National League of Cities yesterday passed a resolution (.pdf) encouraging the federal government to adopt a variety of public interest principles for the farm bill. a systems approach to policy-making. New political constituencies are taking interest in the farm bill. Paradoxically, this year, it seems farm bill decision-making power may be concentrated in fewer hands than ever. Here is the latest NYT column from Tyler Cowen, who I generally think of as a market-oriented libertarian economist. Cowen generally prefers to let the deserving rich be rich, and yet he can see why the demonstrators at Zuccotti Park have "so much resonance." The first problem is that higher status for the wealthy can easily lead to crony capitalism. In public discourse social status judgments are often crude. Critical differences are lost, like the distinction between earning money through production for consumers, as Apple has done, and earning money through the manipulation of government, which heavily subsidized agribusinesses have done. The relevant question, in my view, is not about how much you have earned but about how you have earned it. To further confuse matters, many right-wing Republican politicians supported corporate bailouts and corporate welfare far beyond what was necessary to stabilize the economy, in doing so further muddying the difference between productive and predatory capitalism. In connection with Juliet Schor's book last year, Plenitude, I appreciated this video, posted four months ago. In our neighborhood (east Arlington, MA), my family and I have been exploring similar themes through a free dinner series (which we call "Living Richly" dinners) at our local church (Calvary Church, United Methodist), a community supported agriculture (CSA) pick-up site (from Enterprise Farm), a bike-to-school train to our neighborhood elementary school (organized by the East Arlington Livable Streets coalition), and in other ways. I'll try to share more about this experimentation in future posts in the coming year. New Dream Mini-Views: Visualizing a Plenitude Economy from Center for a New American Dream on Vimeo. Would you say Coca-Cola, the parent company for FANTA, is marketing to children here? Would you say Coca-Cola is marketing to children in these lesson plans for elementary school students? If you say "yes" to either question, then do you think Coca-Cola is breaking its pledge not to advertise to children? We have a global Responsible Marketing Policy that covers all our beverages, and we do not market any products directly to children under 12. This means we will not buy advertising directly targeted at audiences that are more than 35% children under 12. Our policy applies to television, radio, and print, and, where data is available, to the Internet and mobile phones. I can think of some ways that Coca-Cola could say these marketing efforts are consistent with the pledge. Perhaps one could find research showing that the FANTA cartoon characters are designed to appeal to 13-year-olds but not 11-year-olds. Perhaps the websites where these characters appear have a children's audience share under 35%. Perhaps the lesson plans don't qualify as "marketing." Perhaps the use of the word "directly" is supposed to give the marketers some wiggle room. Still, under any of these explanations, the detailed defense only serves to show how empty the pledge is. This post was provoked by reading the Rudd Center's new report on marketing sugar-sweetened beverages to children (.pdf). Every couple years, we update this dynamic interactive graphic showing how Supplemental Nutrition Assistance Program (SNAP) participation changes in response to economic conditions and federal and state policies. (Thanks to graduate student Dan Hatfield for data processing in this new 2010 edition, and to Hanqi Luo and Joseph Llobrera for data processing in earlier versions). With this Google Gadget, you can track a particular state of interest, or watch all states move together. Of course, the real drama is in the final two years. It is possible -- but not certain -- that the major "Farm Bill 2012" decisions will be made sooner than expected, in November, 2011. Critics of the process are calling it the "secret Farm Bill" with "no accountability." Everybody involved in farm policy had been expecting the next Farm Bill to pass in 2012 or 2013. However, the strange new Congressional Joint Select Committee on Deficit Reduction -- the "Super Committee" -- may make the important decisions very soon. The Super Committee process is confusing. Here is my summary of the key points. If the Super Committee succeeds, Congress promises to swallow a laxative. As part of the recent fight over raising the debt ceiling, Congress delegated a peculiar and almost unprecedented decision option to the bi-partisan Super Committee. This committee's power comes from its option to make a recommendation before Thanksgiving on $1.5 trillion in deficit reduction over ten years. If the committee succeeds in making a recommendation, Congress has agreed to give the proposal an up-or-down majority vote, with no filibusters. If the Super Committee fails, Congress promises to swallow a poison pill. If the Super Committee fails to make a recommendation, there will be ferocious mandatory across-the-board deficit reductions. Congress has already passed these reductions, with a conditional trigger stating that they kick in when the Super Committee fails to make a proposal. The Super Committee process may or may not leave the Agriculture Committees out of the loop. Out of the $1.5 trillion in deficit reduction over ten years, the Super Committee is expected to take perhaps $23 billion in savings from farm subsidies and nutrition programs that are normally included in the Farm Bill. Leaders on the House and Senate Agriculture Committees are tempted to move quickly in the next two weeks on their own Farm Bill proposals, so that at least the composition of the cuts will be decided by traditional farm policy leaders rather than by the non-farm-policy people on the Super Committee. Philip Brasher reports this week that deficit hawks suspect that the traditional farm policy leaders can find a way to sneak weaker and more easily reversible cuts into the supposed $23 billion savings. If the Farm Bill is essentially decided this month, what will it look like? It would in that case probably include cuts or elimination of direct subsidy payments (which don't depend on commodity prices). It might or might not include some traditional deficiency payments (which pay farmers only if market prices are lower than a target price), but these subsidies don't matter much right now one way or the other, because commodity prices are currently high and quite likely to stay that way for a while. The most interesting open question is whether a rushed Farm Bill will include some type of strange insurance mechanism, perhaps even more convoluted than the complex ACRE program. So here are the three decisions to watch in the next month, one of the most exceptionally intense periods of food policy decision-making I have ever witnessed. 1. Will traditional farm policy legislators in the House and Senate Agriculture Committees this month submit their own proposed Farm Bill, with about $23 billion in cuts over ten years, in time for the Super Committee to consider it? 2. Will the Super Committee exercise its option to make a highly influential deficit reduction proposal of $1.5 trillion over ten years before Thanksgiving? 3. If the Super Committee does succeed in making a proposal without Agriculture Committee input, will traditional farm policy legislators fight it, or will it represent a sort of coup-d'etat in U.S. farm policy, demoting the traditional deal-makers to bystanders? And here is one more decision to watch in the longer run. 4. If the Super Committee does not succeed in making a proposal, how will the slower Farm Bill process in 2012 be affected by the across-the-board mandatory cuts? The McDonald's McRib is back in the news again. A mocking Twitter feed is under way. Now is a good time to revisit the federal government's role in this industrial concoction, a perfect symbol of a food system gone mad. The Pork Checkoff celebrated 20 years of progress in 2006. Taking a look back and reflecting on where we are today, I am reminded of the impact that the Pork Checkoff has had on the industry, such as moving from being a net importer of pork to one of the largest exporters of pork in the world; creating new products like the very successful McRib; developing education programs such as Pork Quality Assurance™ to help producers ensure consumers of a safe, wholesome product; and repositioning pork from a second thought to top-of-mind awareness. The pork checkoff program sometimes is mistaken for a private sector trade association. It is not. Like all the federal checkoffs, it uses the federal government's power of taxation to collect a mandatory assessment or tax from all pork producers, whether they voluntarily want to pay or not. The checkoff is managed by the National Pork Board, whose members are appointed by the Secretary of Agriculture. Program oversight is provided by USDA's Agricultural Marketing Service. Every marketing message is approved by the federal government, with official status as "government speech." The McRib stands for the proposition that the federal government should help the pork industry promote any product, no matter how contrary to the government's own dietary guidance efforts in the midst of an epidemic of overweight and chronic disease. 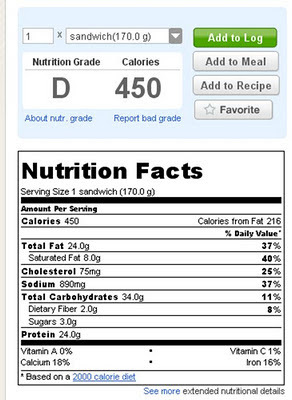 Here is the nutrition facts panel, with 450 Calories, 40% of a day's saturated fat, 37% of a day's sodium, and an overall grade of "D" from Caloriecount. I can understand why McDonald's wants to market this kind of stuff. 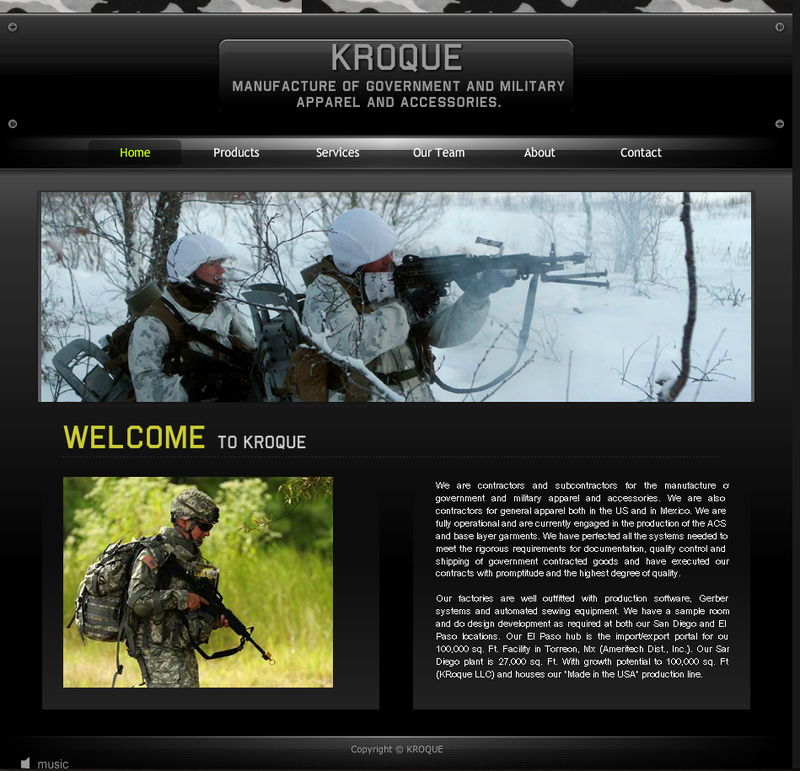 I am sure it is profitable. But, why can't the federal government exercise more discretion in its own choice of products for the federal checkoff programs? Isn't there anybody in the whole chain of oversight for the pork checkoff who is embarrassed to be associated with the McRib? Taxing soda will reduce its consumption and raise revenue; by one recent estimate a 1 cent/oz. national U.S. excise tax would cut soda calorie consumption 8-10% and raise $15 billion per year (Brownell, et al., 2009). Moreover, from a theoretical perspective, the cross-subsidization from non-consumers of soft drinks to consumers resulting from such a tax is not large, and both classes of consumers can be shown to be better off (O’Donoghue and Rabin, 2006). Even if the caloric reduction in soft drinks is offset by whole milk consumption, the nutritional and metabolic advantages of milk versus soda are clear. If such consumption is of plain, reduced-fat milk, these advantages are amplified. Finally, a 1-for-1 substitution of milk for soda on a per volume basis is unlikely, due to milk’s digestibility relative to soda. For these reasons, wide adoption of such excise taxes appears to be good policy. Even if they fail to reduce caloric intake in young people, the quality of those calories will improve. Despite a requirement in federal law to submit an annual report to Congress, the dairy checkoff program has not yet produced the report for July 2010 or July 2011, both of which are now long overdue. Because earlier requests for a copy of the July 2010 report had been turned down by USDA's Agricultural Marketing Service (AMS), I filed a Freedom of Information Act (FOIA) request in September for the two most recent missing reports. However, AMS turned down the request today, saying that the material was classified as "pre-decisional" and "deliberative." The AMS response said that the reports were still in USDA clearance, and that the 2010 report will be released shortly. Not later than July 1, 1985, and July 1 of each year after the date of enactment of this title, an annual report describing activities conducted under the dairy products promotion and research order issued under this subchapter, and accounting for the receipt and disbursement of all funds received by the National Dairy Promotion and Research Board under such order including an independent analysis of the effectiveness of the program. To prepare and make public, at least annually, a report of its activities carried out and an accounting for funds received and expended. The dairy checkoff program uses the federal government's power of taxation to collect a mandatory assessment of more than $390 million per year from farmers, in order to support research, promotion, and advertising activities, such as the "Got Milk" campaign. The checkoff program promotes increased high-fat cheese consumption through support for fast food pizza marketing campaigns. The program's management corporation, Dairy Management Inc., boasts of the fast food collaborations. Notwithstanding the tension between these advertisements and healthy dietary guidance, every checkoff program message is endorsed by the federal government (in legal terminology, the advertisements must be approved as "government speech"). I think dairy farmers and the public deserve more timely transparency in this federal program, which is vastly better funded than anything the federal government does to promote healthy eating. May 2012 workshop on the "food environment"
Colleagues in the Agricultural and Applied Economics Association (AAEA) and its European sister organization are organizing an upcoming workshop on food retail, food access, and the food environment. I am assisting with the local organizing for the workshop, here at Tufts. Here is the open request for abstracts. Abstracts submissions are due November 1, 2011 for the Food Environment: The Effects of Context on Food Choice conference jointly organized by AAEA and EAAE. The conference will take place May 30-31, 2012 at Tufts University in Boston. The conference is aimed at providing insights into the influence of the food environment on the quality, price, and availability of food, associated health or environmental impacts, and to uncover the impact of policies aimed at influencing the food production and choice. For more information, including abstract submission instructions, please visit the conference website. A student points out these cereal boxes from pop artist Ron English, reportedly on a shelf in a Ralph's store. The Popaganda blog says: "Find a box, send it to Ron and he'll sign it." Prevention Institute: "We're not buying it." 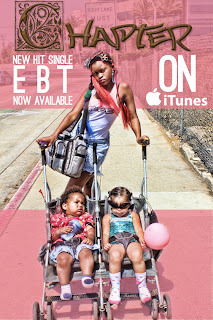 A video and petition from the Prevention Institute, about food marketing directed at children. New York City last year introduced an online data utility that provides great detail about health inspections of restaurants. The application cleverly combines Google Maps with data from health inspector reports. It has always been the case that health inspectors could shut down restaurants that failed to meet a certain threshold for adequate hygiene. The most distinctive thing about this "report card" approach is that it provides consumers with greater information about inspections that found some problems, but not enough problems to shut down the restaurant. In economic terms, this approach remedies an "information asymmetry," in which the consumer lacks some key information about food production practices. Violations recorded in the following area (s) and a Notice of Violation issued at the reinspection conducted on 09/02/2011. Tip! "Critical" violations are displayed in red. 4) Hand washing facility not provided in or near food preparation area and toilet room. Hot and cold running water at adequate pressure to enable cleanliness of employees not provided at facility. Soap and an acceptable hand-drying device not provided. 5) Toilet facility not provided for employees or for patrons when required. 9) Accurate thermometer not provided in refrigerated or hot holding equipment. New York's effort is the latest in a series of similar innovations around the country. In the past, we described similar but lower-tech health inspection report cards in Los Angeles. The October issue of Sprout, the Friedman School's graduate student publication, has just been posted. Sarah Gold draws on material from an International Food Information Council (IFIC) presentation at a dietetics conference to point out many merits of processed foods. Although sodium and sugar content of processed foods are mentioned in passing, a major theme of the presentation seemed to be that Americans would be malnourished without processed foods. 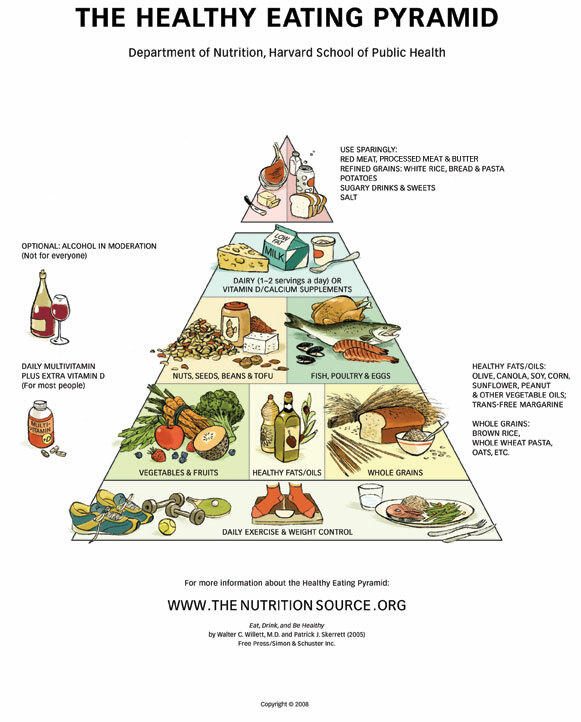 “This is a very confusing aspect of the debate,” says Victor Fulgoni III, PhD of Nutrition impact and speaker at the FNCE session. 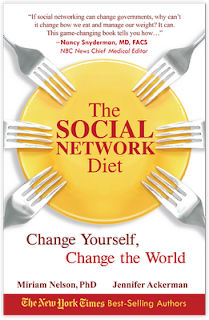 “Some of the discontent is fueled by some that want only local and fresh foods to be consumed. While this is a very laudable goal it is just not possible for most of Americans for either time or economic constraints,” adds Fulgoni. Sadly, only about 300 calories per day come from minimally processed foods in the American diet, according to the data presented by Fulgoni at FNCE. Not surprisingly ready-to-eat (RTE) foods make up the largest portion of calories consumed (about 600 calories) and the top RTE foods consumed include soda, candy, potato chips, and juice drinks. This did not include food eaten at restaurants. Processed foods contribute more dietary saturated fat, sugar, and sodium than minimally processed foods. However, they also provide the largest source of fiber, B vitamins, folate, iron, and potassium for many Americans. According to the study, most American’s would not meet the daily recommendations for essential vitamins and minerals without processed foods. In another article, Rachel Perez discusses the new Harvard food plate with my colleagues Jeanne Goldberg, Tim Griffin, and me. Certainly no single icon—whether pyramid, or plate—can effectively portray every nutrition message, let alone change behavior. To the casual observer, the USDA vs. Harvard plate controversy may amount to mere academic banter or wholesome collegiate competition. 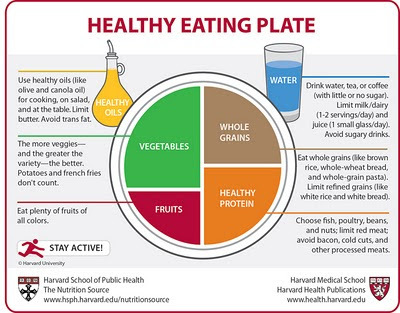 But for nutrition professionals, the plates offer a sobering challenge. Dishing out nutrition messages requires both appropriate policy to back food recommendations, along with clear nutrition communications. Here is the "track" of sessions offered by the Food Safety and Nutrition Section of the Agricultural and Applied Economics Association, at AAEA's annual meeting in Pittsburgh this week. Today, I will participate in a session on food assistance programs, and a session to honor the economist Jean Kinsey. The Hill District of Pittsburgh has long struggled to attract a supermarket. It is a true food desert, very poor, heavily burdened by empty lots and abandoned buildings, geographically isolated by steep hillsides from surrounding more prosperous Pittsburgh neighborhoods, and lacking in good secondary retail that might compensate for the lack of a supermarket. Finally, after years of effort, a new major food supermarket is under construction. I took this photo while on a long walk this week through the Hill District to visit the site of Rand's ongoing PHRESH study, one of the country's most ambitious research efforts to measure the effect of changes in local food retail on the ground in two low-income urban neighborhoods. The Pittsburgh Post-Gazette described this study last year. Continuing this week's coverage of food deserts, the First Lady, several leading retail chains, and the Partnership for a Healthier America today announced a new initiative to increase food access in low-income areas. At the White House this afternoon, First Lady Michelle Obama will be joined by corporate chiefs from Walmart, Walgreens and SuperValu, and smaller regional market chains as she announces a new initiative to support the Let's Move! campaign, an East Wing official tells Obama Foodorama. The corporate giants have agreed to open or expand 1,500 stores in underserved communities--identified as food deserts--to make affordable, healthier food options more accessible to more than 9.5 million customers. The First Lady will speak about not only the health benefits of combating food deserts, but the jobs that these new projects will create in their communities. Leaders from foundations and small businesses will also join Mrs. Obama in the East Room for the 2:00 PM announcement. Mrs. Obama in 2010 announced a Let's Move! goal of completely eliminating food deserts in the US over the next seven years, and the new initiative is designed to meet that goal, and comes as the US unemployment rate hovers at 9.2%. USDA defines a food desert as a Census tract where 33% or 500 people, whichever is less, live more than a mile from a grocery store in an urban area, or more than ten miles away in a rural area. Partnership for a Healthier America, the foundation set up to monitor and continue Mrs. Obama's work, arranged the corporate partnerships for the campaign, an East Wing official says. They will select locations for where the stores are built. There is no federal financial commitment to the partner corporations, although in 2010 Mrs. Obama established the Healthy Food Financing Initiative, a $400 million fund to combat food deserts, financed by Treasury, USDA, and HHS. It was not funded in the President's 2011 budget. As somewhat of a counterpoint, the Obama Foodorama blog also points out the same study that our U.S. Food Policy commenters noticed. The First Lady's announcement comes on the heels of a major study on food deserts and food access published on July 11 in the Archives of Internal Medicine. The study tracked the food purchasing habits of thousands of people in Birmingham, Ala., Chicago, Minneapolis and Oakland for fifteen years, and found that "greater supermarket availability was generally unrelated to diet quality and fruit and vegetable intake, and relationships between grocery store availability and diet outcomes were mixed." 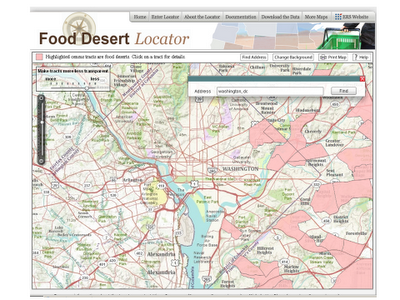 USDA's new Food Desert Locator offers a lot to think about. At least in U.S. cities, I think the reaction of many viewers will be surprise that food deserts appear so few and far between. Most poor neighborhoods in most cities do not appear to be food deserts. For example, here is my home town of Washington, DC. Even Ward 8, across the Anacostia River in Southeast Washington (in the bottom middle of the map, near the southern point of the DC diamond, north of the Maryland border), has only one fairly small census tract colored in pink. Ward 8 was highlighted as a problem area in a report from D.C. Hunger Solutions on the "Grocery Gap." Faced with surprising data, two good responses are: (a) to read the data definitions carefully, and (b) to see for yourself. (a) The data definition for a "food desert" in USDA's mapping utility is "a low-income census tract where a substantial number or share of residents has low access to a supermarket or large grocery store," meaning more than a mile to such a store. (b) The part about "seeing for yourself" is more fun. On a business trip to USDA this week (disclosure: some of my funding for research on food economics comes from USDA), I checked out a bike from the super-terrific new Capital Bikeshare program in Washington, and took it on a tour of food retail store fronts. I was impressed that the Capital Bikeshare kiosks are located all over town, including low-income neighborhoods as well as tourist destinations. This corner store does not count as a "supermarket or large grocery store" under the USDA definition, and yet I always give these non-chain retailers some thought when I do this type of food retail tour. I would have mixed feelings if new supermarkets, supported by tax incentives, put out of business these retailers that stuck with a low-income neighborhood even in the toughest years. Coincidentally, when I passed by on my shiny red rental bike, this corner store had a lovely bright poster advertisement for ... Capital Bikeshare. Although I did not visit them on this trip, here are the three larger food retailers in this part of Washington, and the reason why most of Ward 8 did not show up as a food desert on the USDA mapping utility. There is no conclusion to this post. 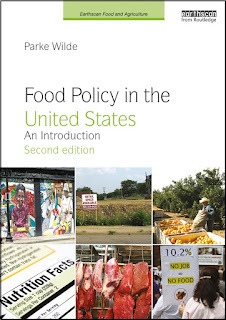 Just material for longer contemplation, while following the current policy debate about food deserts. The U.S. agricultural industry continues to react to the recent upheaval in the Cattlemen's Beef Board (CBB), the federal government's checkoff program for research and advertising to promote beef. Even though Cattlemen's Beef Board Chairman Tom Jones and CEO Tom Ramey have resigned in the aftermath of an eavesdropping scandal, there's still plenty of concern from several state livestock groups that the scandal has eroded the very purpose of the CBB. It is impossible to build a firewall strong enough when you have one organization that picks the members of the committees that make all of the funding decisions for the checkoff and are also involved in program evaluations. The ongoing firewall breaches are no longer allegations, but have been proven in a compliance audit review that has uncovered multiple financial irregularities and misappropriations of checkoff funds. On July 1 the United States Cattlemen's Association (USCA) formally requested that the Secretary of Agriculture initiate a full investigation into circumstances surrounding the expanding contractor financial irregularities within the national mandatory beef checkoff as well as those circumstances surrounding the resignation of the Cattlemen's Beef Board (CBB) CEO. Since then, unfortunately, circumstances have grown even more serious with the resignation of the CBB Chairman, Tom Jones. It is unprecedented in beef checkoff history for the CBB chairman and chief executive officer to have been driven out of office. As USCA president, I want cattle producers to understand what USCA has discovered and what is behind USCA's decision to ask for the Secretary's intervention. Please become engaged in this very important process because what happens in the next few weeks will directly impact the future of the beef checkoff. I spoke today (.mp3) with Don Atkinson, the farm news editor for the Voice of Southwest Agriculture (VSA), which is part of the Clear Channel radio networks, providing farm news coverage through affiliates in Oklahoma, Texas, and several other states. I have no idea what beef producers will want do next, but it does seem like the program needs to be changed. Cattlemen might want to convert the program to a private-sector program with voluntary contributions, or they might want to accept greater oversight and greater separation between the federal program and the NCBA. Either option seems more reasonable than the status quo.